The one kitchen gadget I use every day is my Sodastream machine. It helps ensure that I drink as much water as I need without drinking sugary beverages. Now, you can win a Sodastream Play starter kit today and start enjoying more sparkling water and other better-for-you fizzy beverages! Give the gift of healthy hydration to yourself or a friend. You have heard about turning water into wine, well this is much better. Turn plain water into a sparkling sensation in a matter of moments. Add some sparkle to your stillness. It is all in the bubbles. Proper hydration is essential to skin health and overall appearance. It isn’t a secret that by increasing your water intake you are improving your general health and wellness. Those who own a home carbonation maker system consume more water than those who don’t! Home carbonation drinkers consume 43% more water and “water based beverages” than average Americans, or the equivalent of almost three more glasses of water a day! “Palatability” and “pleasure” were the primary reported reasons for increased consumption of water! 40% of all adults surveyed reported understanding the health benefits of adequate hydration and felt that home carbonation might help increase their intake. You can also make beverages exactly who your liking–whether you like your water to be mildly fizzy or super bubbly like I like it. You can also add flavors to be as sweet as you like. Send one of our articles or this giveaway to your friends/family and tell us who you shared it with. This giveaway will be reserved for fans who like our content enough to share it. Entries will be accepted until midnight December 25, 2014. I love sparkling water. My favorite is Gerolsteiner. I often buy Perrier because it’s cheaper. So SodaStream would be great for me. I shared this article with my friend Patty, and I also shared it in my timeline on FB. I drink liters of sparkling water after my runs. It would be great to have this at home. I don’t drink soda at all, so I love sparkling juices and waters because I can enjoy the sensation of drinking soda without all of the calories, fake sugars, and preservatives! I would love to make fresh-squeeze sparkling lemonade with this machine! 🙂 I shared several articles with Sally Dombrowski, Rolando Diaz, and John Peters, all on Facebook. I love adding lemon juice to this! I shared with my mom, sister, dad borhter-in-law and besties. I shared this article with my brother-in-law. He loves sparking water too and this would be a great gift for him! I shared this with my sister Kathy C.
Shared with the world on Twitter! This would be greatto add fresh fruit juice to! I receive your newsletters and Like (Really LOVE) you on Facebook. I share your articles regularly with my husband, 3 sons, daughter, mother, mother-in-law, and friends on Facebook and Pin articles to Pinterest. I would love to have one of these to “pleasure my palate” and hopefully drink more water. My family would enjoy this too! Have shared this with my friends, Rachael Hull and Paula Myers on Facebook and Rachael Hull and Eric Hull on Twitter. Thanks! I’ve been a subscriber to your e-mail newsletter and follower on FB for a few years now. Lots of wonderful articles and contests, too! I’ve shared this contest with friends and family. My mother has been wanting one of these, so she is excited at the chance to win one. I’ll be giving this to her if I should win. She has been drinking the soda water + apple juice + apple cider vinegar mix. This would help blast the soda water into the concoction! Thanks for the chance to win! i shared this with my sister via e-mail. I shared this on Facebook and on Pinterest. I subscribe to the AFH e-newsletter. I have already subscribed and liked the page. I love your information. Sharing was not a problem. I hope everyone can benefit from your information. I just shared this entry/post to all my friends on Facebook (approx 1100). I also attached links to your Facebook page, information about your book The Real Skinny and honestly believe everything I said! I really do believe that your daily advice helps me in so many ways! I remember you did a similar SodaStream giveaway a while back and I soooo wanted it! I’m not a huge soda fan because of all of the “unnatural” ingredients in there…also, I’d love to help my husband quit his annoying addiction to Mt. Dew. And, I’d love to experiment with fun citrus and juice flavors to make the water I drink on a daily basis, more enjoyable! Thank you for considering, xoxo. Shared with my friend Colleen. Such a fun product. Newsletter subscriber, shared on twitter and I hope to win! Shared with my daughter Sydni and we would really like a soda stream! Already signed up for email! I shared this contest on Facebook and on Twitter! Would love to win! I love Dr Cola but would love to save money making it with a soda stream! It helps my migraines go away. I shared with my sister-in-law. Hey, hey, hey! Liked you on facebook and shared it with my mom who always eats her vegetables! Shared with son, who is very health conscious…thanks! Thanks for the incredible Soda Stream giveaway. Tweeted and shared with Brian Pullum. I subscribe to the newsletter already. I’m a FB fan (and twitter!). Also, I’m sending this contest along. Who knows–if my friends win, we’ll have to visit to try their sodastream!! We don’t drink soda at our house since we had kids for lots of reasons….but this a wonderful idea ! You can just make fizzy water or control the sugar intake in a home made soda. Shared public on my fb page and work fb page oliverslabels/Viera plus tagged friends in your comment section! Shared on facebook. I’ve always wanted to try this! Shared with my friends and family on Facebook. I would LOVE to win this for my husband for Christmas. I’m subscribed to the awesome AFH newsletter! I invited a friend by email using the share buttons above. I invited a second friend by email using the share buttons above. Always wanted to try this product….Would love to win….. I sent this giveaway to my mom, who has been wanting a Soda Stream and I also shared it on Facebook. I love sparkling water and I recommend it to any athlete or client that is struggling to get enough fluid in. I forgot to say. I shared this on Facebook and pinterest. 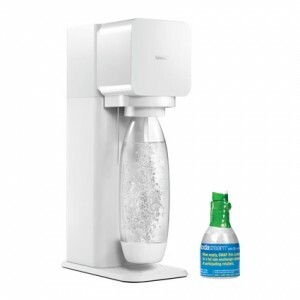 Would love to win this soda stream….I LIKE !!!! I shared with my good friend and husband. I liked on Facebook……I really would love to win…. I shared on Facebook and Twitter and pinned on Pinterest. I shared with my friend Kat Seltzer. I think she will love your site! Fabulous giveaway! My two boys would love this! I shared on FB (Amy Maddux Cooley), Twitter (@acools), and Pinterest (amycooley). I drink some form of fizzy water every day…I would love to win a soda stream. I shared with my book group via email. Merry Christmas Girls. Ive already signed up for your newsletter and like you on facebook and just sent your video around from the news labeled “MaryJo Frys sister”, She and I swam today. Shes my inspiration! I already shared your page with all in my contacts and will send the link now to win the soda machine. Merry Christmas in Belvedere! Merry Christmas..I was hoping to get one for Christmas but didn’t. Hopefully I will win one! We had one at out church that they use at our coffee bar and I enjoy mixing coconut and pomagranite fruit syrups together to make a good drink. I shared on my facebook page and with my friend Lisa Rivera.